"The writing is beautiful, the ideas persuasive, and the picture it paints of the process of careful observation is one that every writer should read. . . . A rich and wonderful book." 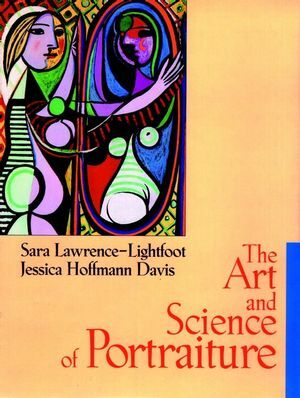 A landmark contribution to the field of research methodology, this remarkable book illuminates the origins, purposes, and features of portraiture—placing it within the larger discourse on social science inquiry and mapping it onto the broader terrain of qualitative research. SARA LAWRENCE-LIGHTFOOT, a promminent sociologist and professor, of education at Harvard University, is the author of numerous books including The Good High School, Balm in Gilead, and I've Known Rivers. Winner of the prestigious MacArthur Prize, Lawrence-Lightfoot was recently awarded Harvard's George Ledlie Prize given for research that makes the "most valuable contribution to science" and that "benefits mankind." She has been a Fellow at the Bunting Institute at Radcliffe College and at the Center for Advanced Study in the Behavioral Sciences at Stanford University. JESSICA HOFFMANN DAVIS is the Director of Arts in Education Concentration and a lecturer on education at the Harvard Graduate School of Education. She was the principal investigator of several arts projects at Harvard Project Zero. Her numerous publications include The MUSE (Museums Uniting with Schools in Education) Book and The Co-Arts Assessment Handbook.